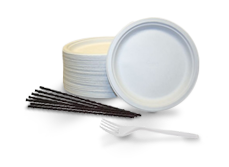 The Complete Range of Disposable 'Food Packaging Online'! 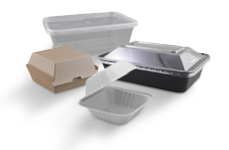 Food Packaging Online has the best range of disposable food packaging supplies to source and order online with the click of a button. 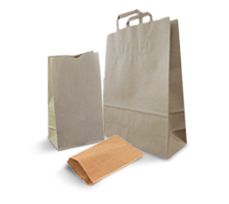 Simply choose from one of 5 categories - Bags | Containers,Trays | Cups | Napkins,Wraps | Plates, Cutlery & More. 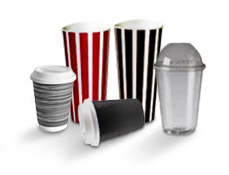 Coffee Shops, Cafe's, Takeaway Shops, Fast Food Stores & Restaurants in Sydney, Melbourne, Brisbane, Canberra, ACT, Regional areas & Australia-wide now can source from a huge range of takeaway Paper Coffee Cups and Paper & Plastic Takeaway Containers. 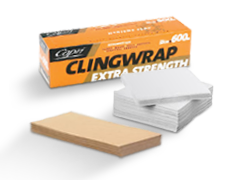 Add to your shopping cart all your accessory packaging products with ease, including Cup Trays, Plastic Cutlery, Napkins, Wraps and Paper Bags and Plastic Bags. Take advantage of great online deals with our competitive wholesale prices. 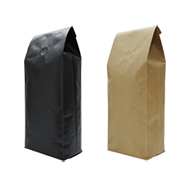 We have a reputation as Australia's premier supplier of top quality food packaging including eco-friendly packaging options with same day or next day delivery to most locations. Subscribe to our newsletter and keep up to date with all our latest news and information.